The first thing people do with a gift is shake it to feel its weight. Because of this, less weight seems to equal less exciting. Due to their size and design, giving a gift card has started to feel like giving less of a gift. Applebee's made a nation-wide change across all of their stores by replacing their ovens with wood-fired grills. 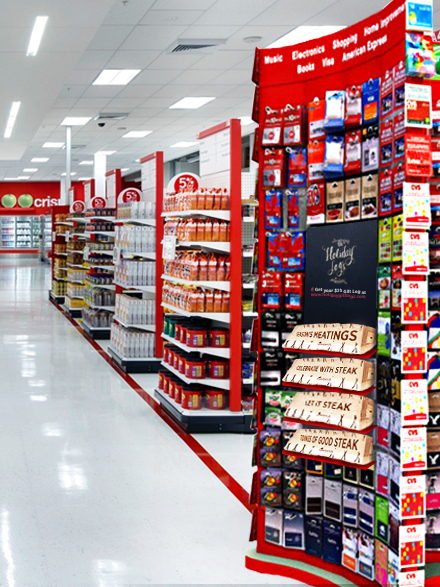 This creates an opportunity to break through the clutter in a unique way and make gift cards feel like an actual gift. We made them mean more, weigh more, and be shared more. Applebee’s provides the solution to gift card thoughtlessness by offering a gift card with substance, steak, and a whole lot of personality. With our one-of-a-kind American Oak Holiday Gift Logs, people can get excited about giving and receiving gift cards again. 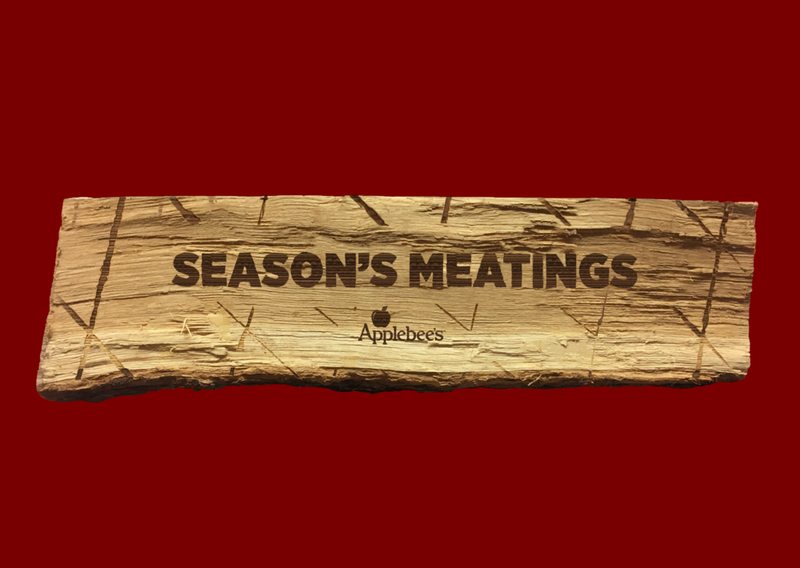 For just $25, our Holiday Gift Logs allow the gift giver to choose from a variety of custom messages to have artfully etched into oak to share holiday tidings of good cheer and wood fired steak. Unusual locations to garner interest and begin a PR push. Using fast bursts of excitements, pre-roll consists of staged unboxing commercials. Over-the-top excitement that will build on the personality of the project being an over-the-top (at times, gag) gift. Amazon is one of the top websites for holiday shopping. With a gift card section and "recommended gifts" feature, it's the best site when you aren't quite sure what to get that special someone. Applebee's Gift Logs would be in both of these sections of the website: standing out in the gift card section with a large banner feature, and as one of the top recommended gifts. The logs would also be sold on their own Applebee's Gift Logs microsite. The PR push and online placements would help direct traffic to the microsite for purchase. Whenever the stock of logs ran out, or by December 16th, the website would change to a message of "It's not too late!" 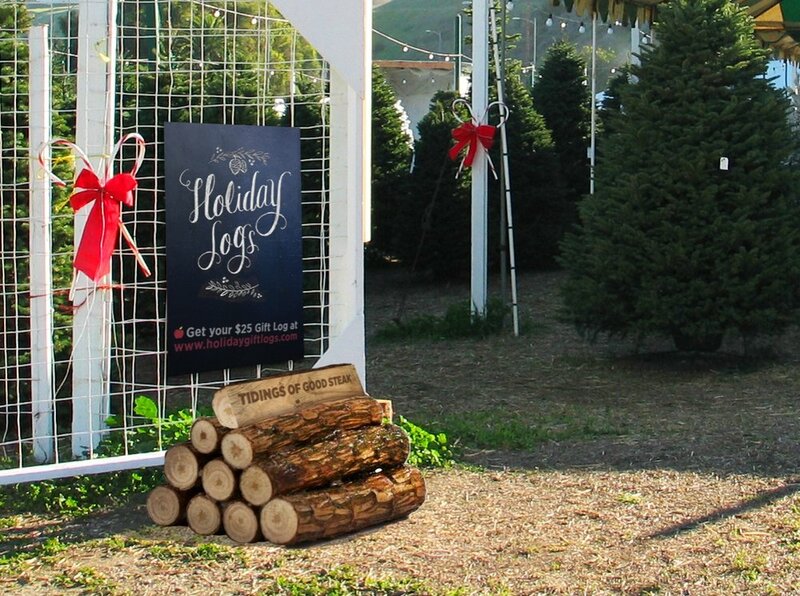 Users can then buy $25 electronic, printable gift cards that can be printed alongside a foldable gift log.